This playful pair of 18K two-tone gold earrings offers a whimsical motley of alternating cushion cuts and oval shapes. Each natural yellow diamond earring dangle features halo-accented VS1-SI1 Fancy Intense Yellow diamonds totaling 10 pieces, 6.22 ct. tw. 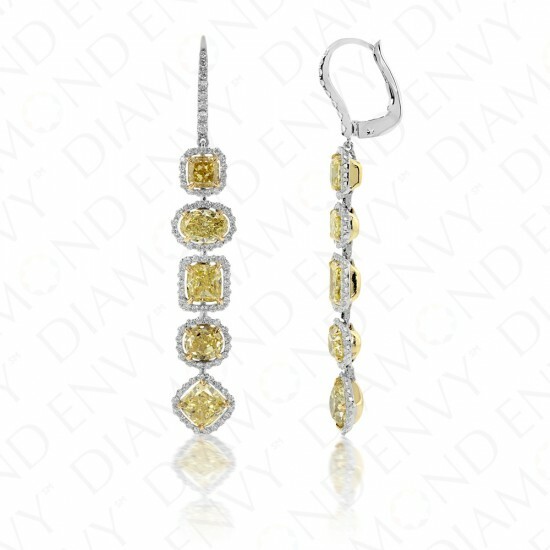 F-G VS2-SI1 white diamond accents are set in the halos and in the leverback hooks, totaling 188 pieces, 0.80 ct. tw. Gold weight: 7.00 grams. 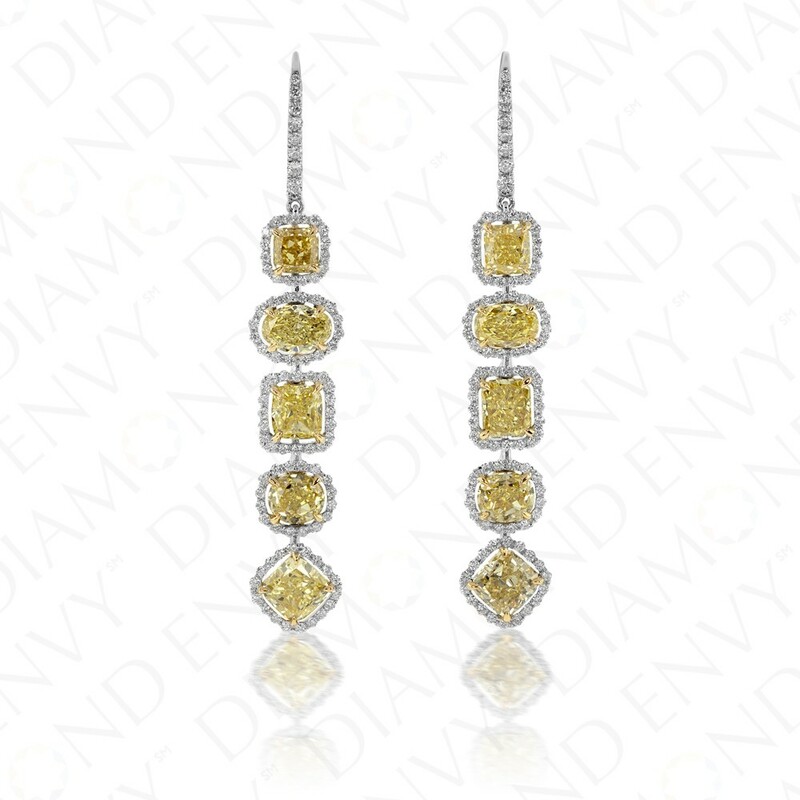 These canary diamond earrings are house-graded.